Dubai, UAE, July 04, 2018: OMEGA is a company world-renowned for its pioneering history of exquisite craftsmanship. Now, for its latest creation, the brand has reintroduced a real piece of technology from its past. 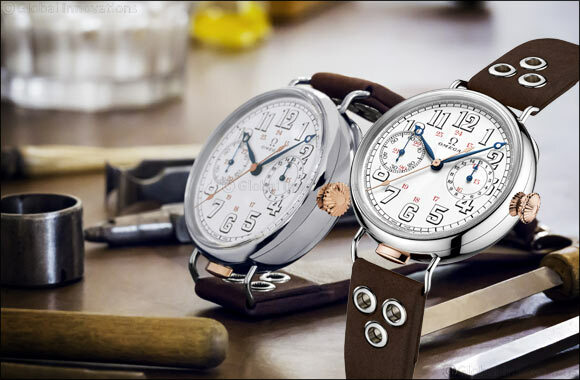 The “First OMEGA Wrist-Chronograph Limited Edition” is an ambitious new collection comprising of just 18 watches – with each one housing an original 18’’’ CHRO calibre from 1913. Through a special and dedicated process, the prized calibres have been delicately refurbished by the experts at OMEGA’s Atelier Tourbillon and given a new lease of life for use inside these new Limited Edition models. The “First OMEGA Wrist-Chronograph Limited Edition” was proudly launched at the brand’s “Museum Night” in Biel, Switzerland on July the 2nd. As well as hearing from some very special speakers, guests were also treated to the first glimpse of the new watch. In 1913, OMEGA became one of the world’s earliest producer’s of wrist-chronographs and the acclaimed 18’’’ CHRO calibre was integral to that achievement. For today’s project, the OMEGA Museum played a significant role in supplying the 18 original 18''' CHRO calibres, which were retrieved from heritage timepieces within their vaults. Next Story : The Volvo Ocean Race has been won!